Biogreen Neighbourhood ProgramBro would like to invite you all to participate in and complete biogreen Neighbourhood Programme (BNP) which biogreen Neighborhood Program that will take place this weekend. It will be held on 28 May 2016 from 11.30am – 3pm (for giveaway session) in soymilk Main Place, Subang Jaya. Download CheQQme application on your smartphone (Android & iOS). Then show it to the shop assistant soymilk to get membership for one year for FREE (membership price is RM18) without having to make a purchase. Many attractive deals offered to consumers CheQQme, Download it now to enjoy the great offers that will be offered to you. 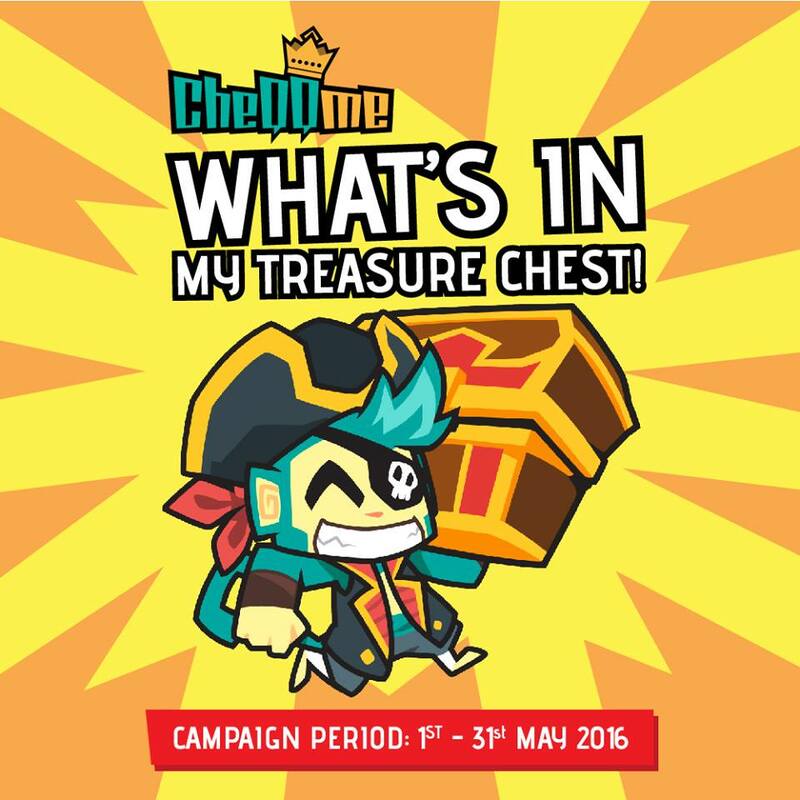 Arem will be sharing with you tonnes of goodies he had in his treasure chest. 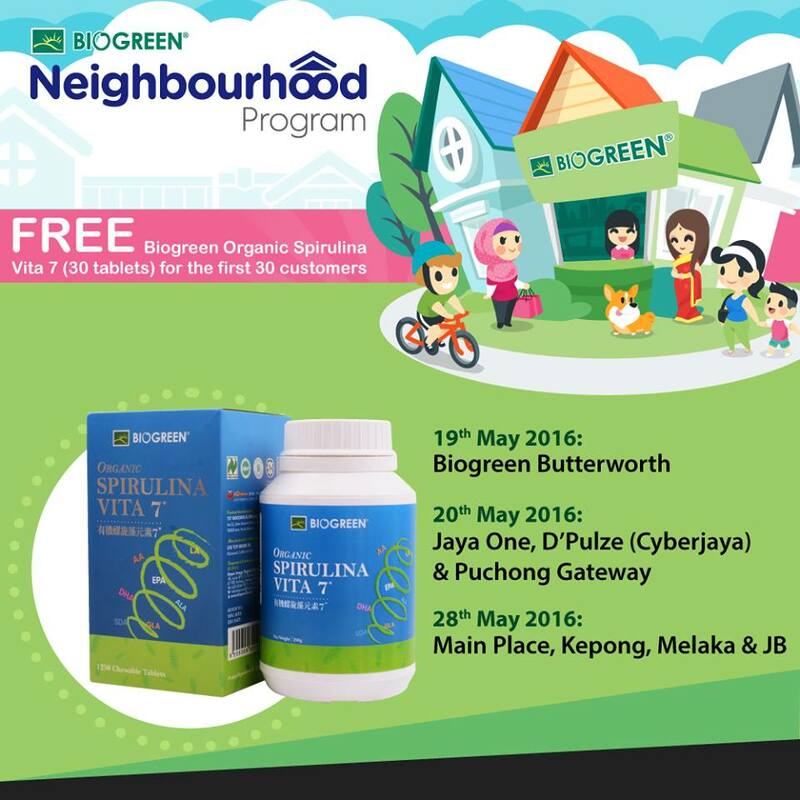 We are giving out Biogreen Organic Spirulina Vita 7 (30 tablets) and free 1-year Biogreen membership (Exclusive for CheQQme users only) for the first 30 customers who visit Biogreen shop on our Biogreen Neighbourhood Program! Remember to download CheQQme here at uqr.to/cheqqme for redemption. 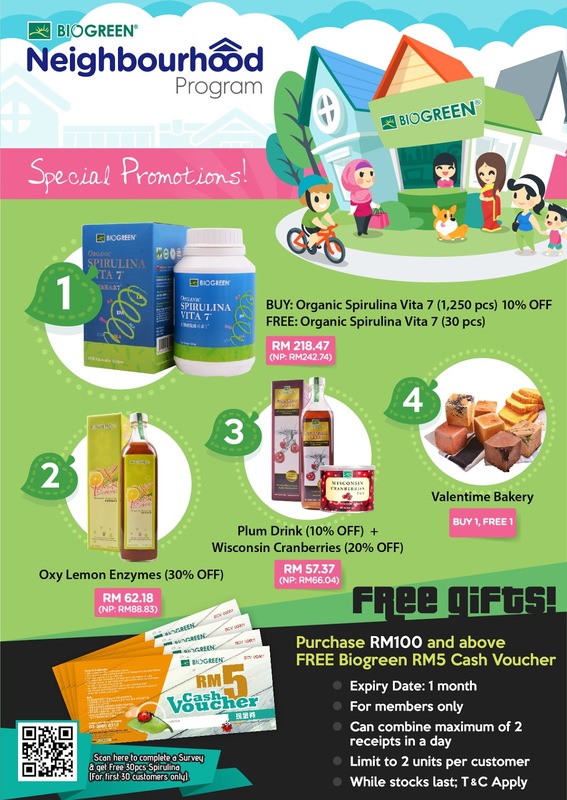 Promotion of the Spirulina is “Buy 1 Spirulina (250G) FREE 30 tablets Spirulina at RM218.47.” Besides that, for every purchase RM100 and above FREE RM5 Cash Voucher. 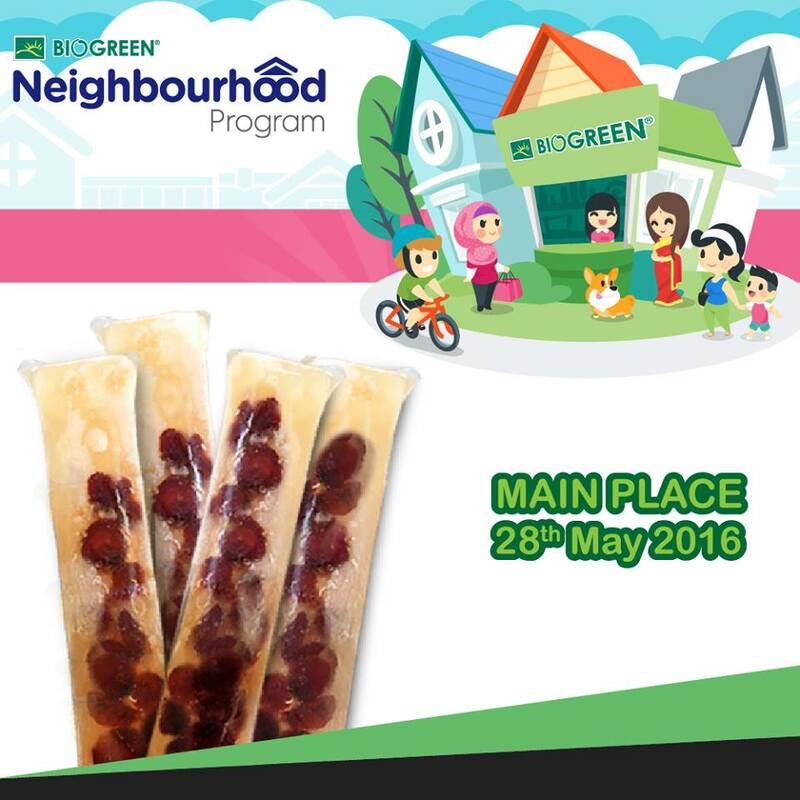 Biogreen will distribute FREE old school ice stick to visitors at Biogreen @ Main Place on 28th May 2016. The campaign aims to educate and share about healthy living and organic. Educate the public about the advantages of organic and natural products and benefits. Affect the public about the importance of organic products. To achieve concept as 7-11, where organic products are available and easily accessible by the customer. This ice cream is made with soymilk and soymilk beverages Plum Wisconsin Cranberries. It is able to quench your thirst this summer. No. 9, Jalan Burung flung,Taman Bukit Maluri, Kepong, 52100 Kuala Lumpur. Medical Center Klebang, Melaka 75200. Trade Centre Danga Utama, 81300 Johor Bahru, Johor.